Thule Buys Out Tepui and Auto Retailer Pays Million Dollar CARB Fine! Our Industry News was hopping this week and we wanted to share two stories of interest to all ModernJeepers. 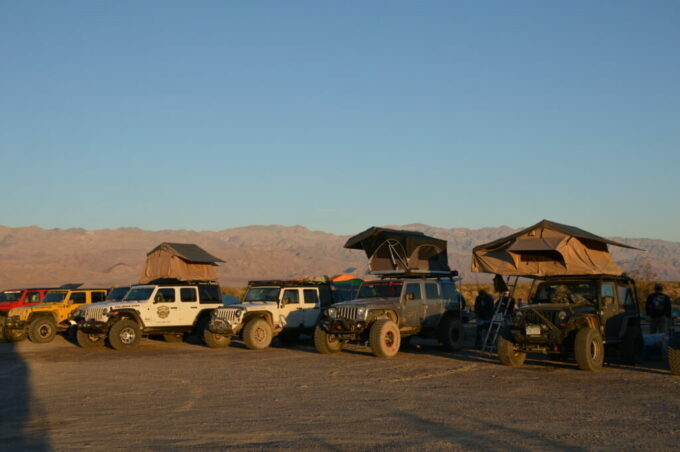 ModernJeepers who enjoy overlanding have heard of Tepui Outdoors rooftop tents. We’ve seen them on the trails. Well, now they belong to Thule Group, the rack and accessory company. Change is quick in our industry. Thule Group acquired Tepui Outdoors Inc., for $9.5 million. For a company not that old, it goes to show you that overlanding is popular. “Rooftop tents offer consumers a great way to utilize their existing cars for self-reliant overnight travel to remote destinations, where the journey is the principal goal. The overlanding category has been growing steadily over the last few years and we are very pleased to add this great assortment of high-quality rooftop tents and accessories to our broad portfolio of products that cater to consumers who enjoy living an active life,” said Magnus Welander, CEO and president of the Thule Group. Tepui Outdoors Inc. was founded in 2010 by Evan and Gabriela Currid. The company is based out of Santa Cruz, California, and led by Evan Currid, who will continue to manage the product category within Thule Group. Messing with engine performance and/or emission components in California is serious business to the Air Resources folks. ModernJeepers should always keep this in mind. AZAA Investments Inc. has paid more than $1 million to settle violations levied against online retailer AutoAnything Inc. by the California Air Resources Board (CARB). The violations allegedly resolve violations of the California Health and Safety Code and Vehicle Code related to the sale of illegal aftermarket performance autoparts in California. CARB investigators discovered that AutoAnything, an online retailer, advertised and sold performance parts that modified emissions components, ultimately committing approximately 4,000 violations between 2012 and 2015, according to CARB. During the settlement process, AutoAnything and its online retail platform was sold to AZAA Investments, which paid more than $1 million to the California Air Pollution Control Fund, on behalf of AutoAnything. Illegal parts sold by the former AutoAnything, Inc. included engine programmers, air intake systems and catalytic converters that were not approved by CARB for use on highway vehicles. These products can reduce fuel economy and increase emissions. Along with the financial penalties imposed by the settlement, AZAA Investment Inc. is subject to a permanent injunction barring the sales of automotive parts and must notify CARB prior to resuming any related business activity. 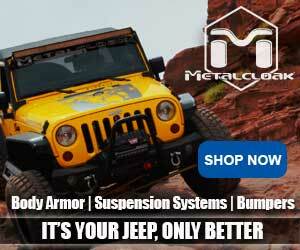 Stay tuned as ModernJeeper keeps you up to date on the best Industry News.